American no. 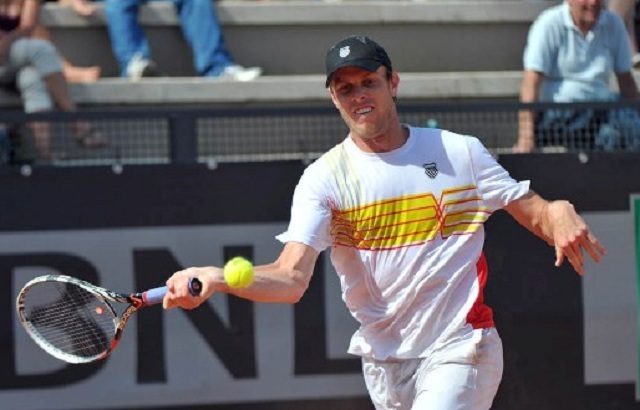 2 Sam Querrey (Player Bio) returned to action today at the Moselle indoor tournament in Metz and despite Ivo Karlovic’s (Player Bio) threats early on, managed to advance to the second stage of the ATP 250 tournament with a 7-6(4), 6-4, 6-4 win over the Croat. Karlovic controlled the proceedings early on with better pacing on the tricky indoor court and managed to break the American and clinch the opening set 6-4 in under 45 minutes. The second set was far more competitive and stayed on serve until a 6-6 score led to a deciding tiebreak between them. Querrey appeared to have regained focus and rhythm during the tiebreak and, with the aid of a few key shots, took the tiebreak 7-6(4) to force a third set. The third set was similar to the second set as Querrey remained focused and forced a second break point and sealed the match with a 6-4 win in the set to make the second round of the competition. The American saved three out out of Karlovic’s four break point opportunities and never allowed the Croat into the match after his mental lapse in the first set. Querrey has had an uninspiring ATP season, particularly the second half where he exited Wimbledon in the opening round, faced several disappointing losses in the US Open Series culminating in a second round exit at the year’s final Grand Slam. The American’s recent lapse has forced him out of the world top 20 and he will likely be looking to redeem himself before the end of the season. Considering Querrey took part in the only main draw match-up of the day, Tuesday’s schedule includes singles matches such as Pierre-Hughes Herbert vs Florian Mayer and Marton Fucsivucs vs. Jeremy Chardy. The no. 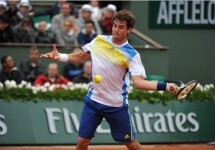 31 will face either Igor Sijsling or Paul-Henri Mathieu in the second round at Metz. Potential match-up later on in the bracket include second seed Giles Simon and third seed Andreas Seppi.